As with any career, there is always an opportunity to upskill in the real estate industry, regardless of experience or length of time in the industry. 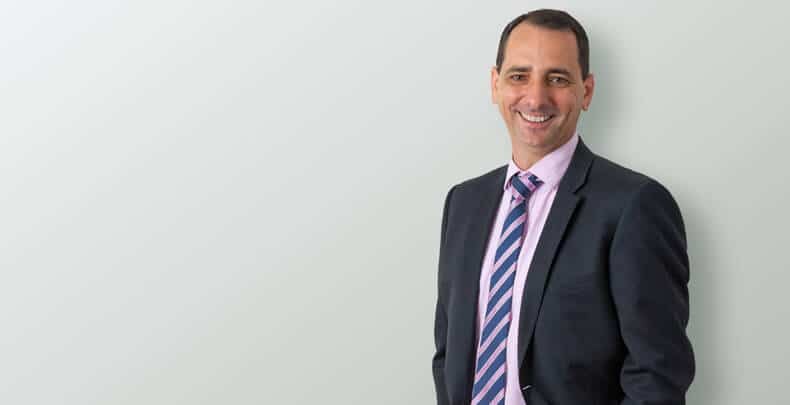 Award-winning Belle Property Carina residential sales consultant David Cotterill recently fulfilled a career goal by studying with Validum Institute to attain his full Queensland Real Estate Agent Licence. David first entered the industry 12 years ago in Carina, swapping a career in finance for the fast-paced lifestyle of a real estate agent. Although still working in Carina, David now specialises in selling new and off-the-plan residential properties. The recent winner of the 2015 Belle Property Australasia No. 1 Projects award, David joined us on the blog today to share some insights on his successful career, and thoughts on why further education was an important step for him. VI: How has the industry changed over the past decade? The most noticeable difference since I entered the industry in 2004 is the number of agents. In the past there were hundreds of sales agents covering similar areas, however today there seems to be less, but better, agents. Both buyers and sellers are much more particular about the agents they pick. They look for qualifications, experience and professionalism which means only the most committed and dedicated agents are going to be successful. VI: Why did you make the change from finance to real estate? During my time working in a financial role within the public sector, I was also building homes on the side. After years of doing so, the penny dropped – why wasn’t I also selling the homes myself? I completed my Registration Certificate and haven’t looked back. VI: What influenced your decision to further your education? It’s something I’d always thought about over the years but as someone who works full time, studying on the side just seemed unachievable. For those in the same position, I would direct them towards Validum Institute. They helped make the course achievable for someone who hadn’t studied in years, and they were so incredibly flexible around my schedule, which was great as attending courses in person was important to me. VI: How do you see your new qualification furthering your career? I think being a fully qualified real estate agent will demonstrate to my clients how committed I am to my job. Validum Institute also offers a Certificate IV in Property Services which I would like to complete in the future to further reinforce my education and dedication to my craft. VI: What piece of advice would you give to Validum students who are new to the industry? Pick a niche area. When I first became an agent, it was so tempting to take on every home, block of land or apartment building that came my way – whether it was in Carina or in Perth. If you’re in it for the long run, it’s incredibly important to identify your niche. Aim to become known as the person who specialises in acreage, or commercial offices or apartment buildings. You’ll build your knowledge and your client base much easier this way.